Title by Grand Rapids Herald. 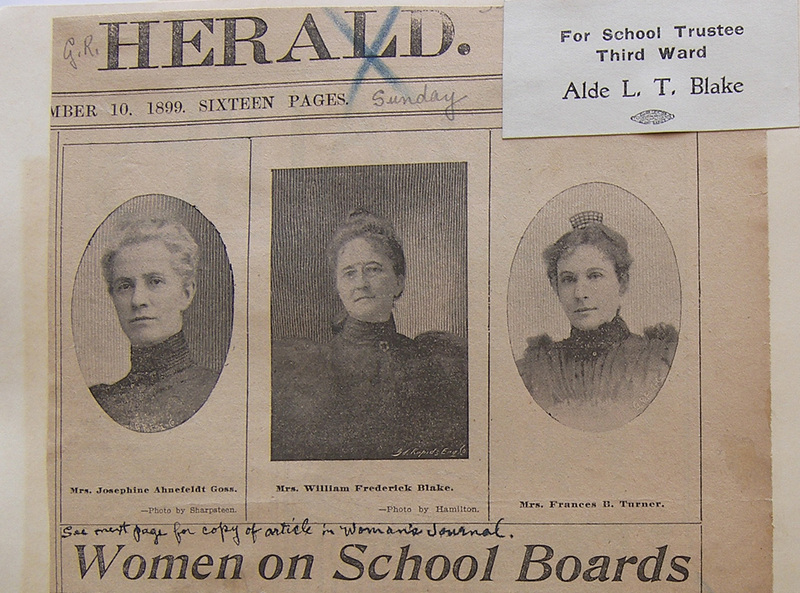 From the scrapbook of Mrs. William (Alde Louise Tuck) Blake. See Women on School Boards (2) and (3) in Related Items for other reports of the school board election. Samuel Sharpsteen and Mrs. Emma J. Hamilton were the photographers noted.